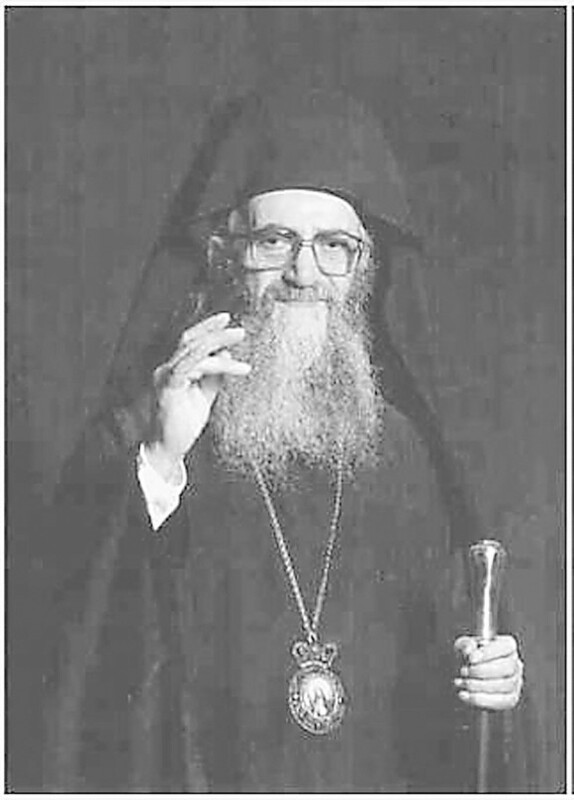 Patriarch Demetrios served in Constantinople from 1972 to 1991. BOSTON, MA – Metropolitan Meliton of Philadelphia, who is one of the most prominent and learned hierarchs of the Ecumenical Patriarchate of Constantinople, just published a three-volume book in Greek in honor and memory of the late Ecumenical Patriarch Demetrios. The book, The Holy Journey of Love, Peace and Unity of Ecumenical Patriarch Demetrios, was published in Thessaloniki Greece and it was funded by businessman Alexander Bakatselos. Meliton told TNH about the book, sharing some of his personal experiences as Demetrios’ close associate and also on issues that concern the Patriarchate today. TNH: Your Eminence, how do you feel with the completion of the three-volume book about the late Patriarch Demetrios? Meliton: I fell that I fulfilled an obligation of respect, gratitude, and love towards the patriarch. TNH: If I am not mistaken, you accompanied him to all of his sacred journeys around the world. Which ones would you distinguish as the most historic and important? Meliton: I can’t really distinguish them, but I could note the one to the Church of Russia after 400 years since the visit of Patriarch Jeremiah IV. The one to the Church of Greece in difficult times. Also the one to the Greek Orthodox Archdiocese of America, which was the first visit of an ecumenical Patriarch to New world. The honors bestowed upon the Mother Church of Constantinople by all the ecclesiastical, government and civil authorities were unforgettable. Also the warm welcomed extended by the pious Orthodox faithful and by the American people as well. Also his Holy Pilgrimage to the Monastic Community of Mt. Athos and his silent prayer. I remember him kneeling down and praying fervently in front of the icon of the Mother of God, the Portaitissa. Metropolitan Meliton of Philadelphia, seen presiding over the Divine Liturgy, said one of his most memorable moments was his visit to America in 1990, the first visit of an Ecumenical Patriarch to New world. TNH: What did Patriarch Demetrios have that attracted people? Meliton: His inward and full of love prayer, which was a manifestation of the action of the Holy Spirit that shined along with his great humility. TNH: Since you lived his patriarchy so closely, how would you characterize it? Meliton: Peacemaking, uniting, full of compassion and love for all. A manifestation of the grace of God. TNH: How did Patriarch Demetrios deal with the recommendation by some from within the Patriarchate to resign, as Metropolitan Demetrios of Sebasteia revealed in his article published in the first volume of your book? Meliton: With a humane disappointment, but always with a calm way, silently, and playfully. TNH: Would you tell who those people were from within the Patriarchate who urged him to resign? Meliton: It is meaningless to speak about persons who expressed thoughts that were not implemented. TNH: Don’t you think that you have an obligation towards his memory and the history now that Patriarch Demetrios is under the earth to reveal their names? Meliton: The soul of Patriarch Demetrios is not under the earth, but it is in heaven, from where he observes everything and he wouldn’t want to prize discussions on these issues. TNH: Have you said your last word about Patriarch Demetrios? TNH: Which were some of his biggest concerns about the Patriarchate, the Greek Community of Constantinople, and the Orthodox Church in the world? Meliton: His care was about all of the Churches and especially about the future and the stability of the Ecumenical Patriarchate. He used to say that I don’t want people to remember me. It is enough if the Mother Church of Constantinople is loved and glorified. TNH: What he was telling you about the Greek Orthodox Archdiocese of America and the Greek-American community? Meliton: He marveled and praised the initiatives of the Archbishop of America and all the faithful of the Greek Orthodox Church there and he hoped and prayed that the Church in America develop and become the biggest and most active Eparchy of the Ecumenical Throne. He was sensing that it had the zeal and the dynamism to achieve that. TNH: Is Patriarch Demetrios missed today from the Phanar, from the Orthodox Church and from the world in general? Meliton: Humanly we say that he is missed physically, but he is present spiritually among us guiding and inspiring us. TNH: Where is the Ecumenical Patriarchate going today? Meliton: As a militant Church and coordinator in the system of the Orthodox Churches, it walks the difficult way of the Gospel, hoping always to the grace of Christ who is the Lord of glory. TNH: Which are some of the most critical problems that the ecumenical Patriarchate faces today? Meliton: The unity of Orthodoxy and the danger of secularization of the faithful which distant them form the Orthodox ethos and the communion of the Holy Spirit. The faithful should live individually and collectively the sense of the grace of God in their lives. TNH: Do you regret that you resigned from the Chief Secretariat of the Patriarchate? Meliton: No, never. After all, everything in this life comes to an end. TNH: How much is the hierarchy of Patriarchate is concerned about the possibility of the succession of the current patriarch, Bartholomew? Meliton: His All Holiness our patriarch is in good health and with a lot of strength, as you know, and thus the succession is not an issue.